Since our founding in 1978, Vulcan GMS has continued to expand and develop new capabilities. When we began, Vulcan was a mere 15,000 square foot facility with three employees. Much has changed since then. 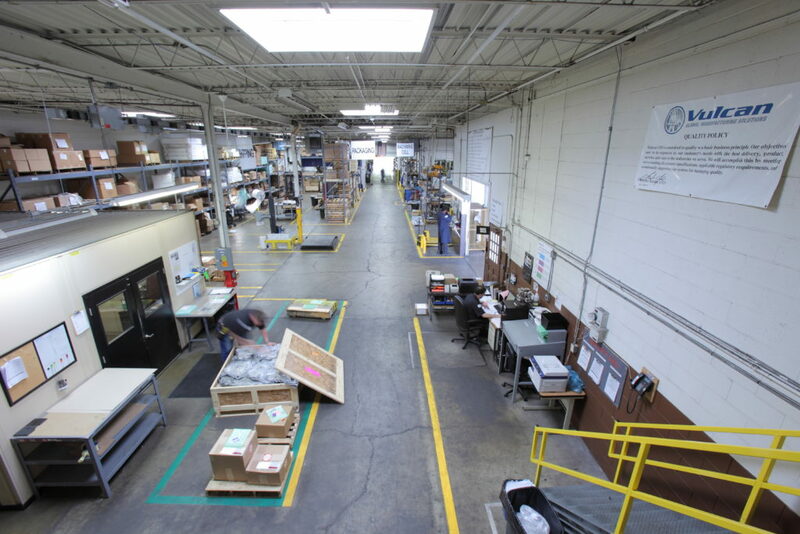 Today Vulcan has more than 100,000 square feet of manufacturing space and more than 160 employees worldwide. In the beginning, Vulcan Lead (our name at the time) made simple lead parts. Today Vulcan Global Manufacturing Solutions provides some of the most demanding products and assemblies in the industry. Throughout our history, Vulcan GMS has had many “firsts” in technology. Our drive for quality and our focus on growth through customer satisfaction has been the cornerstone of our evolution. As the first nonferrous foundry of our kind to become ISO certified, we are a leader in high-quality manufacturing. As Vulcan has expanded our offerings in materials and capabilities, we have also continued to grow our manufacturing space to meet the new demands. In February, Vulcan expanded again – this time in our machining and assembly areas. We have taken over the adjacent building to allow us to add more equipment and new and improved assembly work cells. The addition will allow better efficiency in our demanding markets including medical, security and aerospace. While we are still focusing on our niche capabilities, we are excited to offer other machining and manufacturing with other metals and plastics. It allows us to give our customers higher level components, assemblies and kits. We would like to thank all of our customers whose continued business and growth opportunities have brought us to this point. We look forward to more continued growth to support our valued customers’ future needs for many years to come. Please contact us for any new ideas or projects.